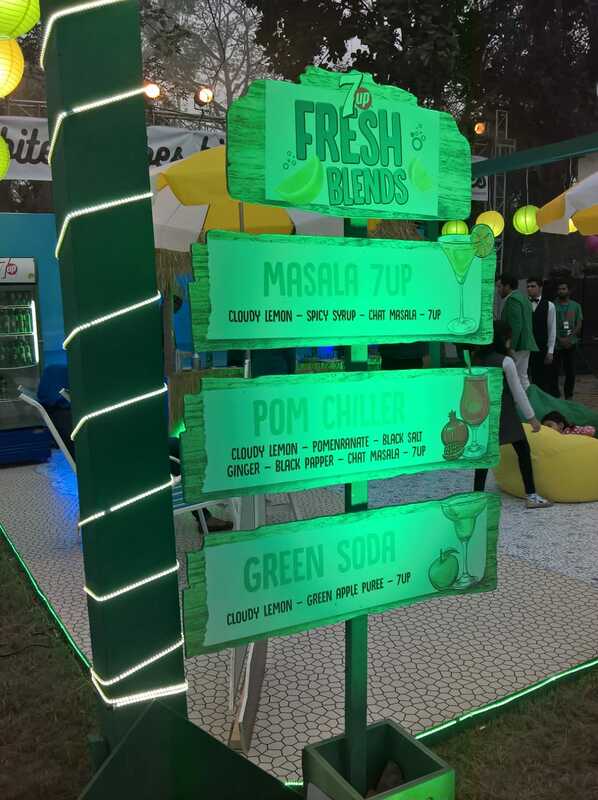 Foodpanda held its Bites and Vibes food festival in Royal Palm Golf and Country Club on Sunday and it was an amazing event. 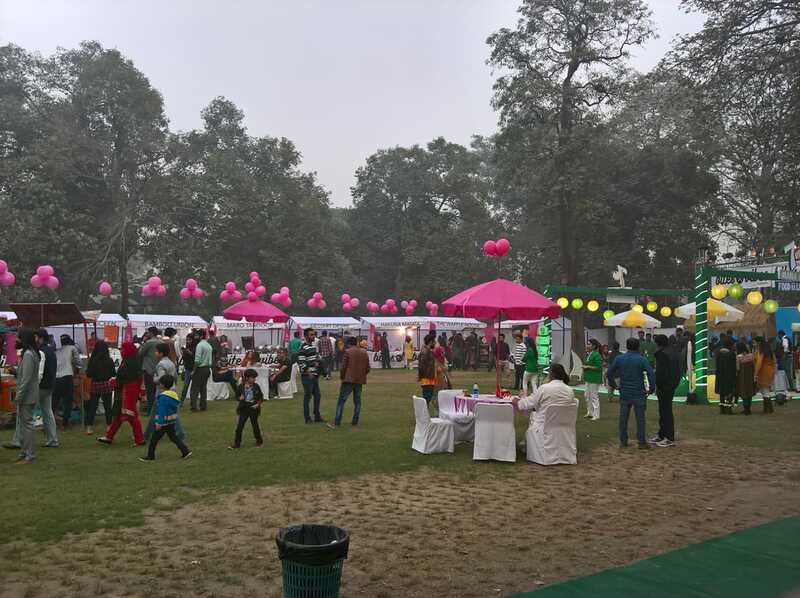 From the amazing ambiance to the delicious food stalls and the rocking background music made the event even more memorable! The festival totally met our expectations! As soon as we entered the tent enclosed area of Royal Palm Golf and Country Club where the festival was held, the aroma of food rising from different stalls made the atmosphere extremely delightful. 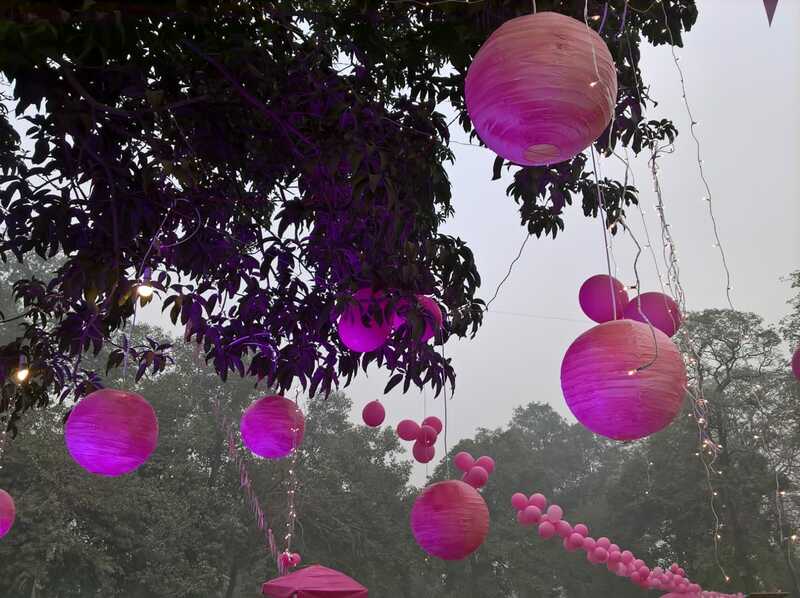 The vivid lighting and the music that played in the background added to the ambiance of the festival. There was an entry fee of Rs 200 and the food was reasonably priced with no food item exceeding the cap price of Rs 200. Setting up a cap price was a wonderful move because it enabled the people to try different food items without being concerned about the price because, at the end of the day, affordable food in a good setting was what the crowd went there for. Different restaurants had their stalls there and people lined in front of them to grab a bite of the delicious food they offered. People of all age groups attended the event. Families were seen sitting at tables placed in one corner of the tent enclosed area. There was also a kids’ area to accommodate the kids to keep them from getting bored. 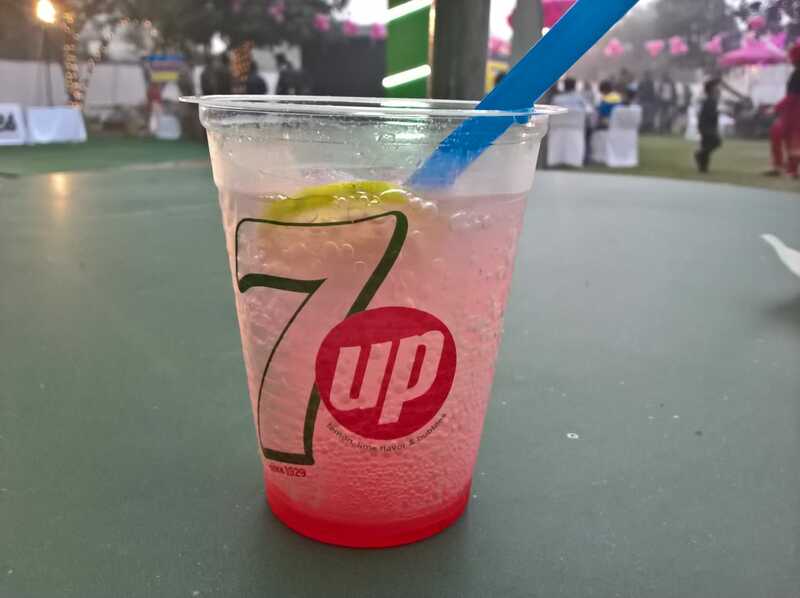 7 UP had an attractive set up in the front where they offered a variety of drinks made through 7 UP. They offered a free drink to anyone who took a selfie in the vicinity of their stall and uploaded it to Facebook! Deli Delights, Spoonful, Shut Up & Eat, Downtown Foodies, Galito’s, Buffalo Wings and Rings, Popeye’s Chicken, Bamboo Union, Maro Tandoor, Dessert Desire, Hakuna Matata, The Waffle House, Cravea and Grab Your Meal also had their stalls at the food festival and oh my, they were all serving up mouthwatering dishes. We decided to go for Grab Your Meal’s Spicy Mediterranean Sandwich. 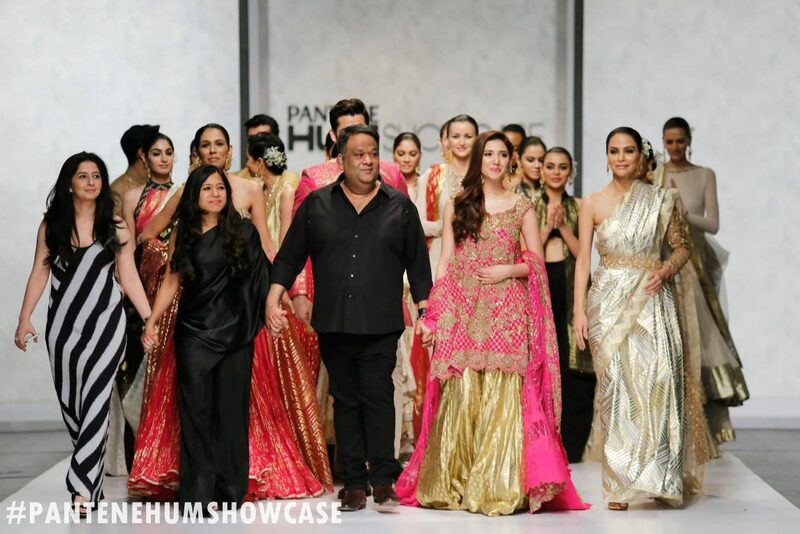 A large crowd had lined up in front of their stall and the attendants had to respond quickly without compromising on quality, a job they performed extremely well. Although we had to wait for a while to get our order, the end product was worth waiting for. It was delicious. 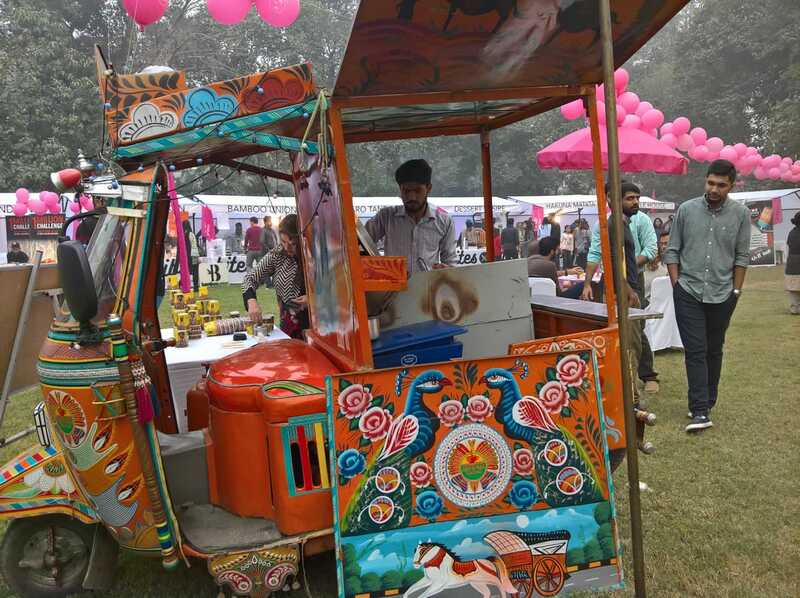 Following that, we went for Chai from Sarrak Pe Karrak who had their stall in the shape of a beautifully decorated Rickshaw behind which there was stove set up. They had Doodh Patti for Rs 100 and Desi Chai for Rs 130. We ordered the former. 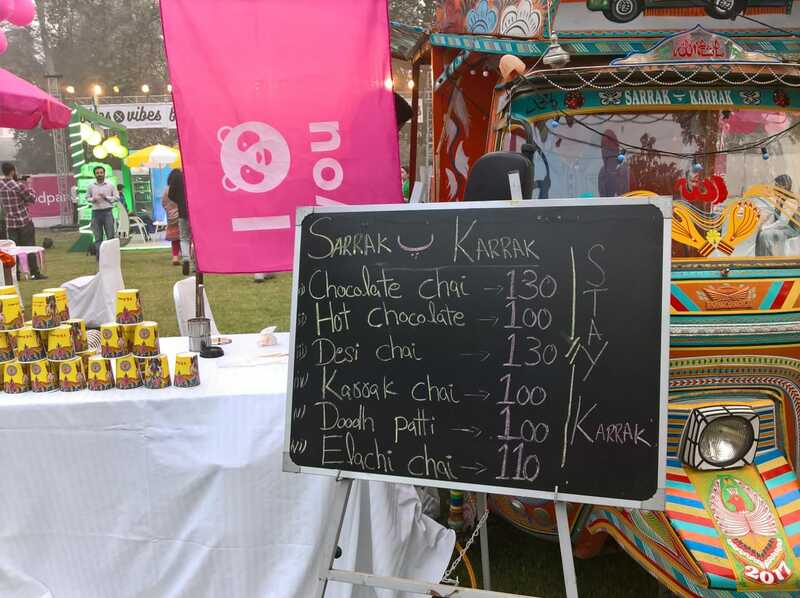 The Chai was ‘Karrak’. Near the end of the event, the DJ stopped playing the music when a band went on stage. They started off with some of the most popular songs of the region and it was an absolute delight listening to them perform which ended with a well deserved round of applause by the audience. 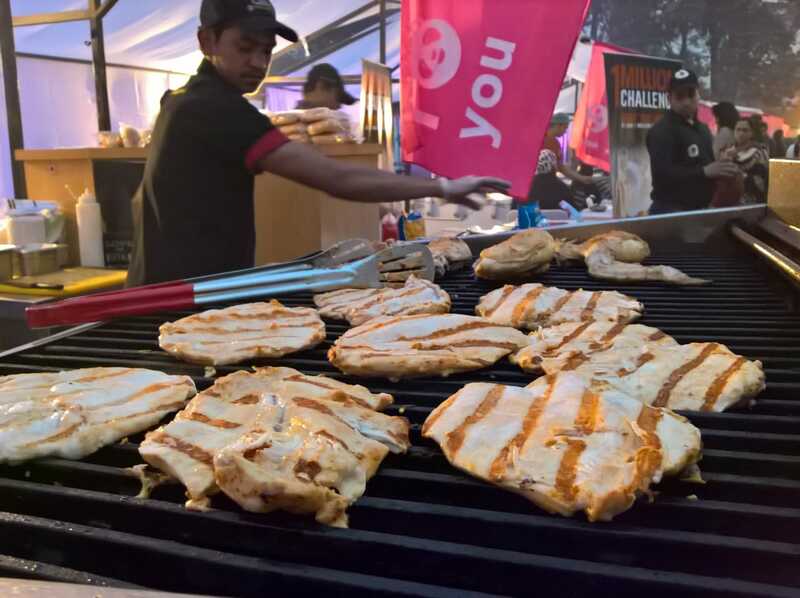 Next articleHighlights: Bites and Vibes Food Festival by FoodPanda!